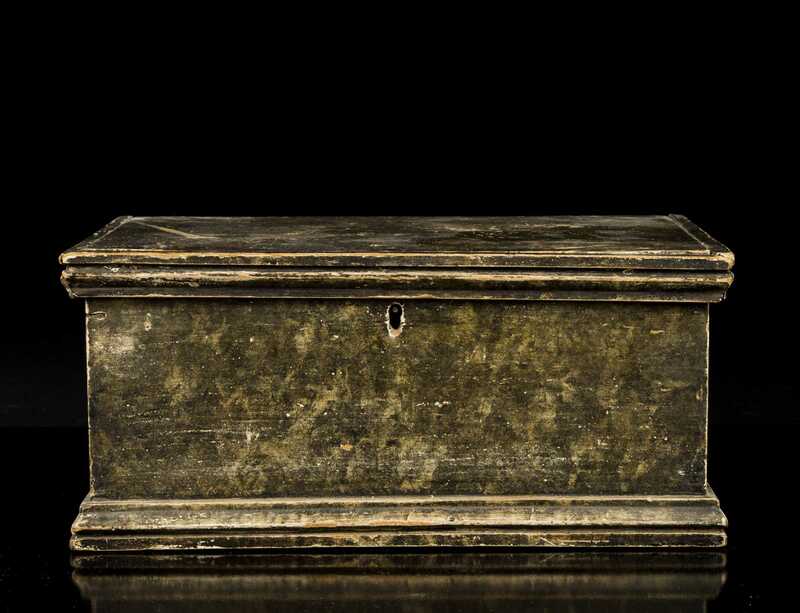 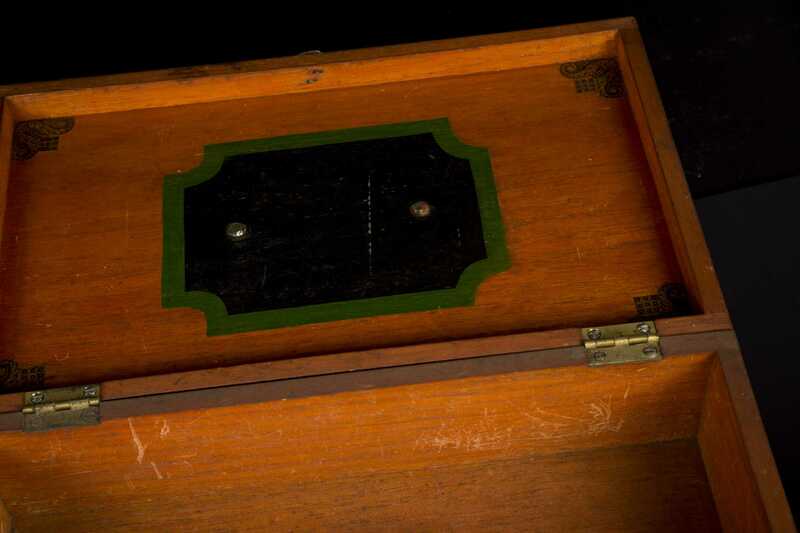 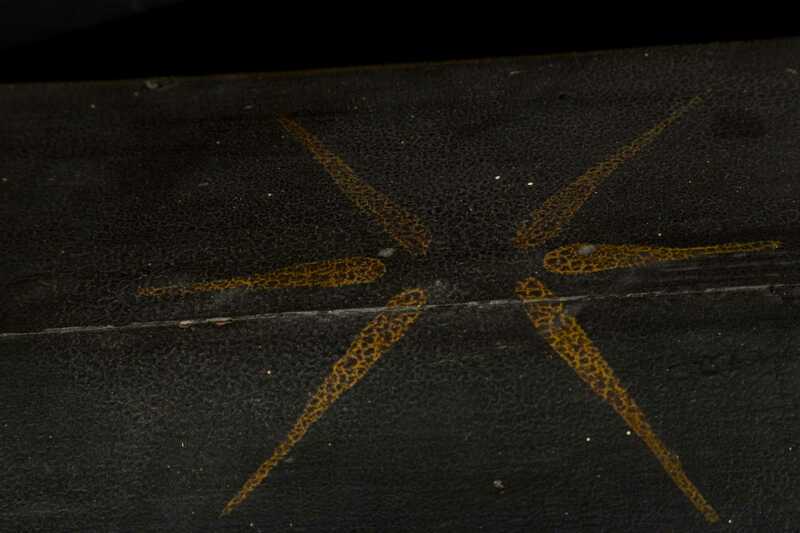 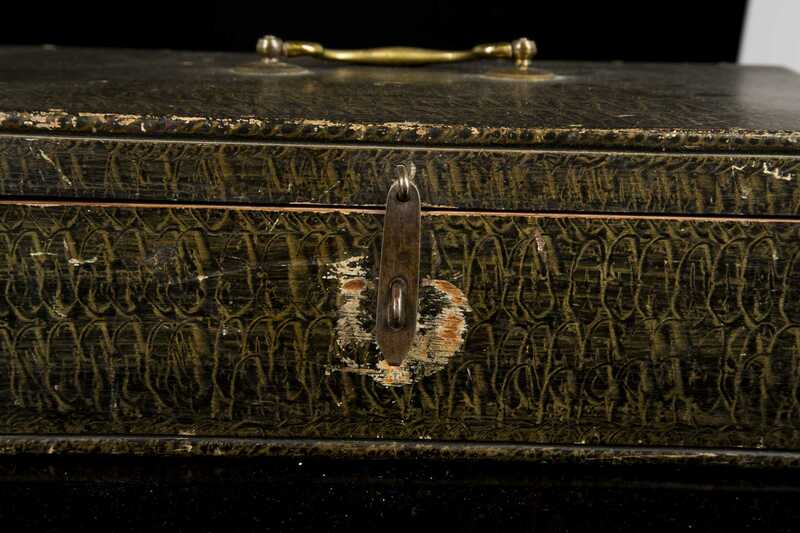 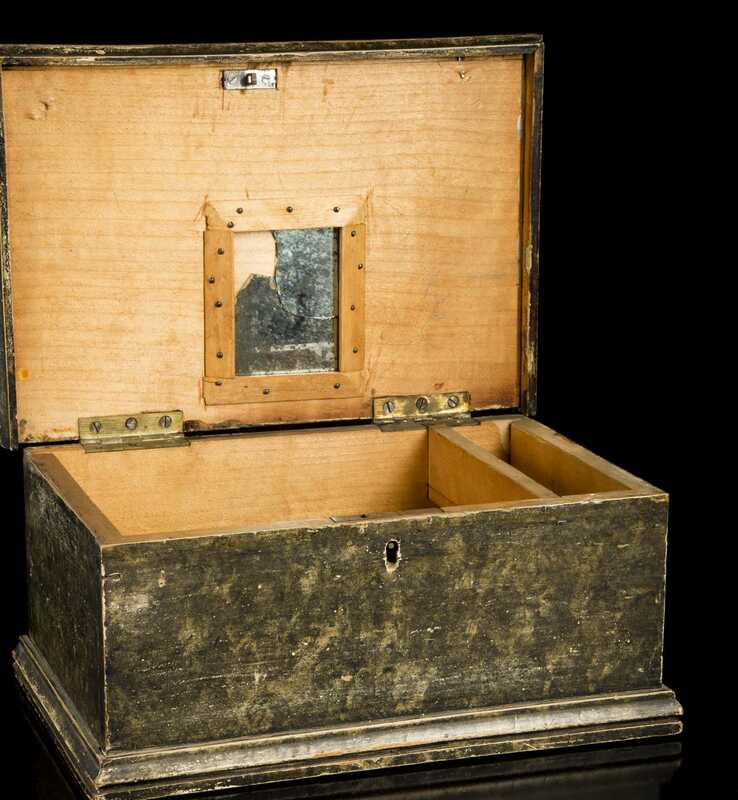 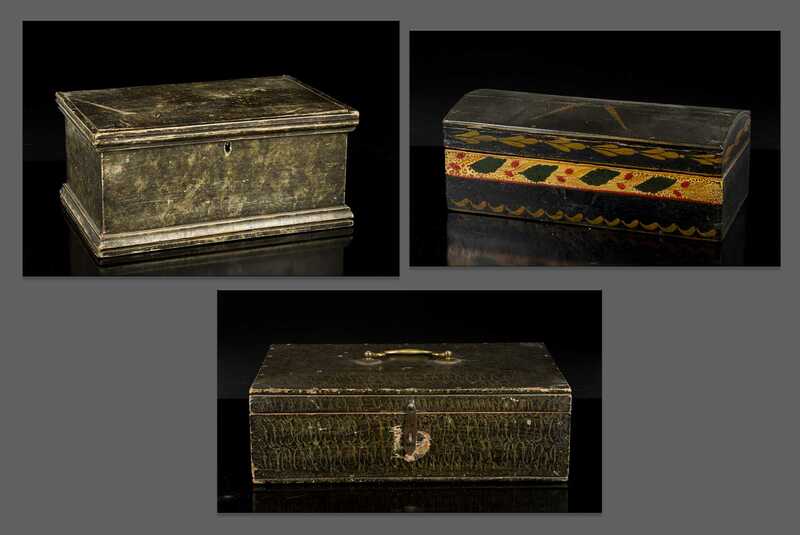 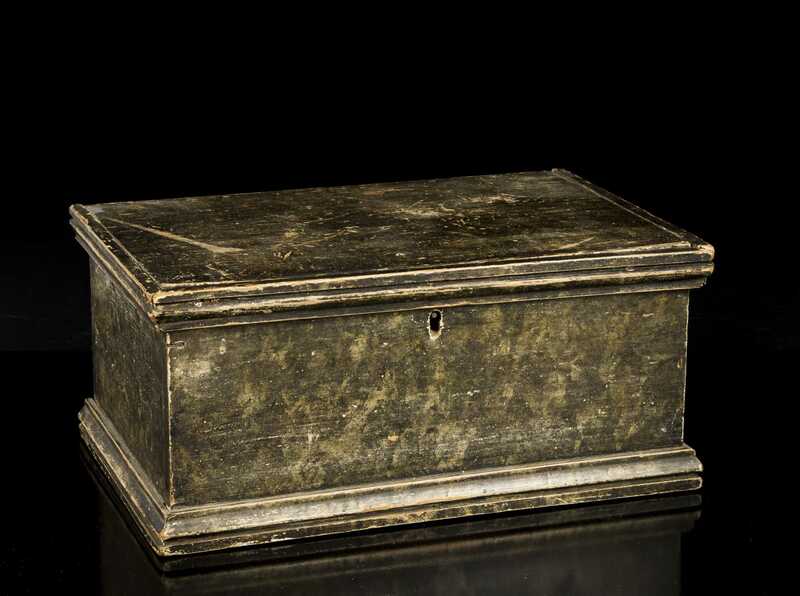 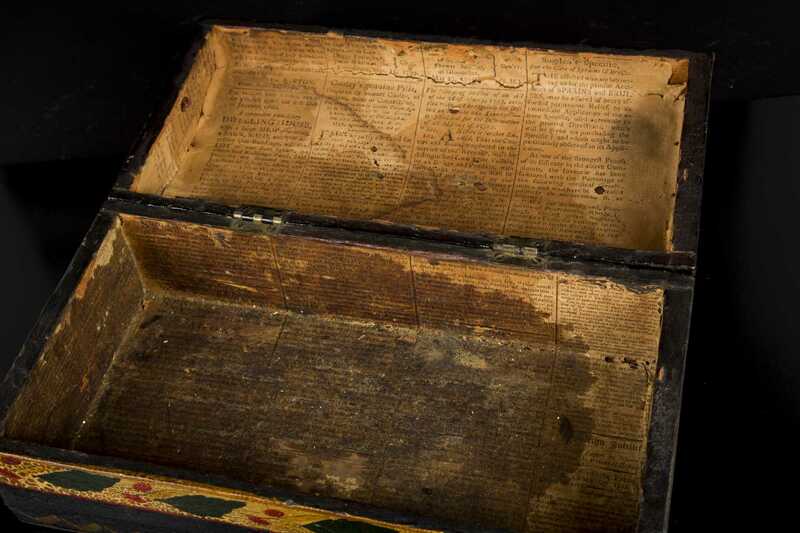 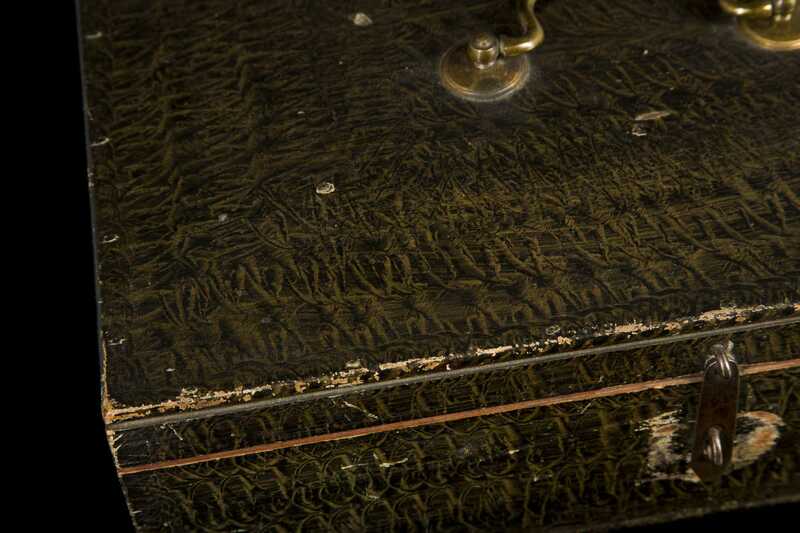 Three Paint Decorated Valuable Boxes, A) Smoke decorated box with frame interior mirror on underside of lid, 10 7/8" x 7 1/2" x 5" tall, scratches to top. B) Tole type decorated dome top box, old newspaper lining the inside with stainds, old crack to lid, 11 1/2" x 5 3/4" x 4 3/8" tall, old crackled finish. 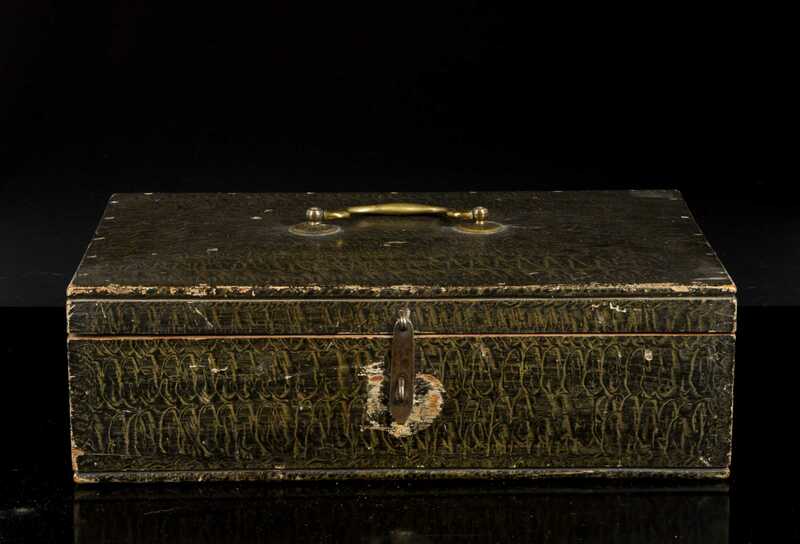 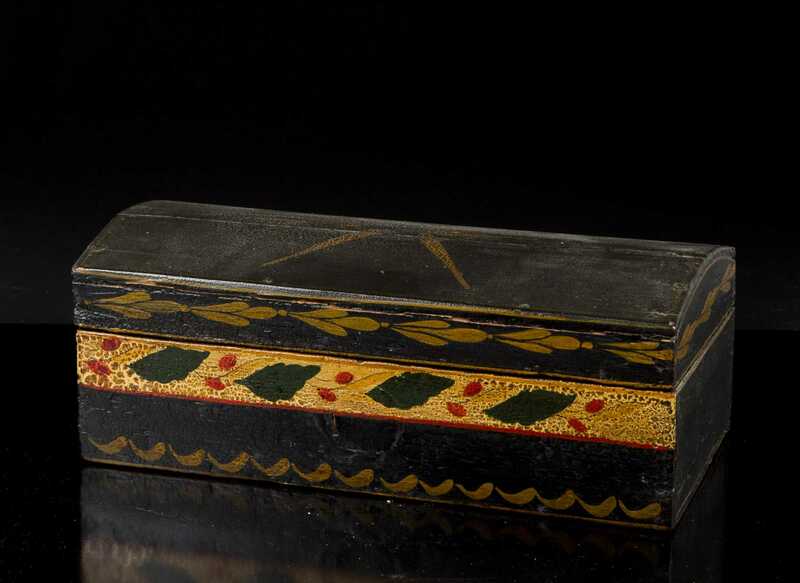 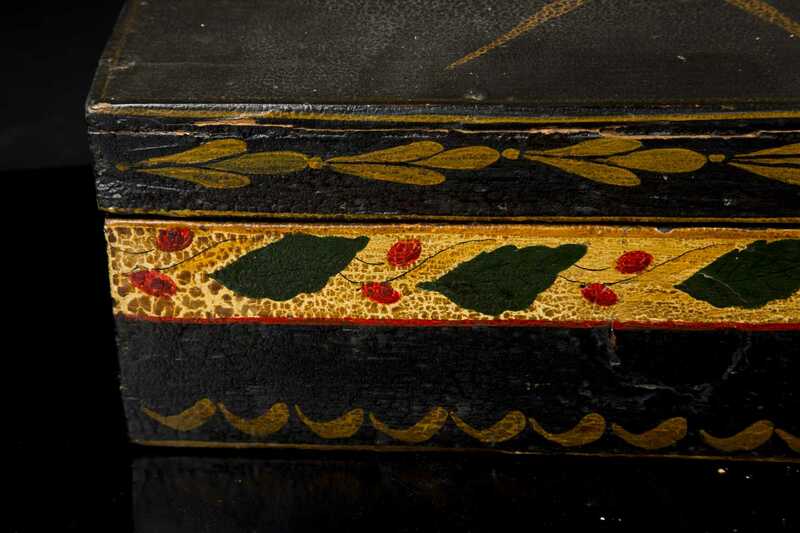 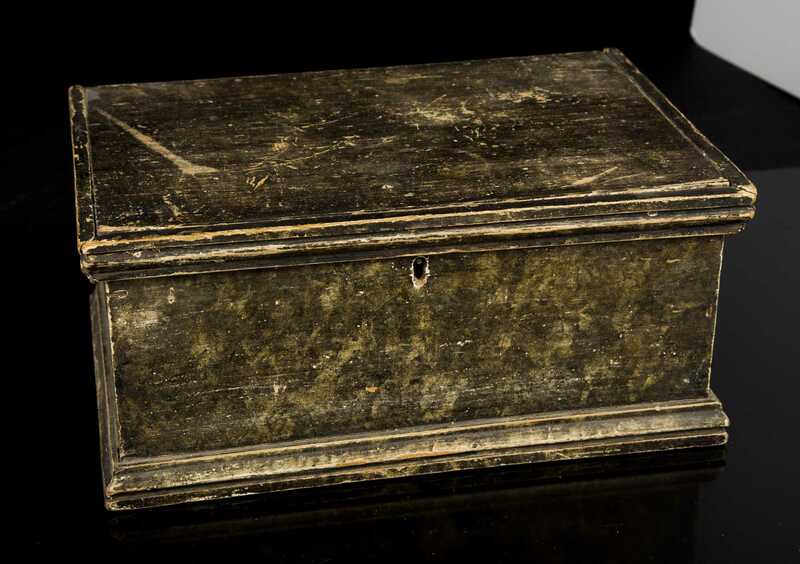 C) Paint decorated box, E19thC with brass pull on lid, E20thC gift note from family is loose inside, 7 7/8" x 13" wide x 4" tall, wear around clasp, has old lock inside.